The Angel Locsin Modess 'Perfect Date' TV Commercial! Modess launches another cool and inspiring TV commercial. It is like a romantic movie featuring the country's hottest female superstar Ms. Angel Locsin! 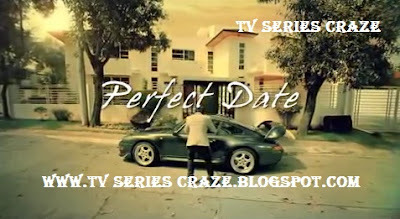 The title of the said Modess TVC is "Perfect Date." The TV commercial started like how a movie begins. Angel Locsin plays the girlfriend of a handsome guy. It seems that they were having their first date. And the guy is so nervous to give Angel a perfect date. It's another cool TV commercial! It seems that we are watching a romantic movie! Angel in the TVC is like a co-boy wherein she is always ready! No matter how hard the situation is, Angel is always game to face it! Nice! Angel is actually the endorser of Modess since last year. Her previous TV commercial for the said napkin brand before is plain and simple! But this newest 2011 TVC is superb! Modess is one of the many endorsement of Ms. Angel Locsin! Nowadays, Angel is very visible on TV via her different TV commercials! Modess, Century Tuna, Head and Shoulders, and Hapee Toothpaste were some of the many TV commercials of Angel now seen on TV!